We're very excited about this newest addition to the Bayliner Element line of entry-level boats - the F18 fishing boat! Bayliner has been busy revolutionizing day boats as we know them. They first introduced the 16' Element back in 2013. The Element series combines "an affordable price, familiar automotive-style handling, and class-leading stability and safety features". The F18 takes full advantage of the stable Element M-Hull and combines it with a deck plan focused on "fishability". 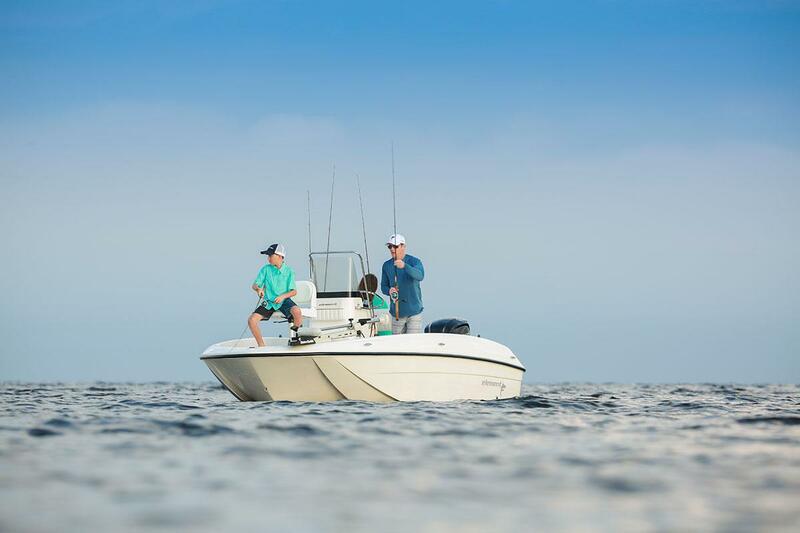 Seasoned fishermen and families alike will appreciate the features, layout. and value aboard this family-friendly fishing platform.